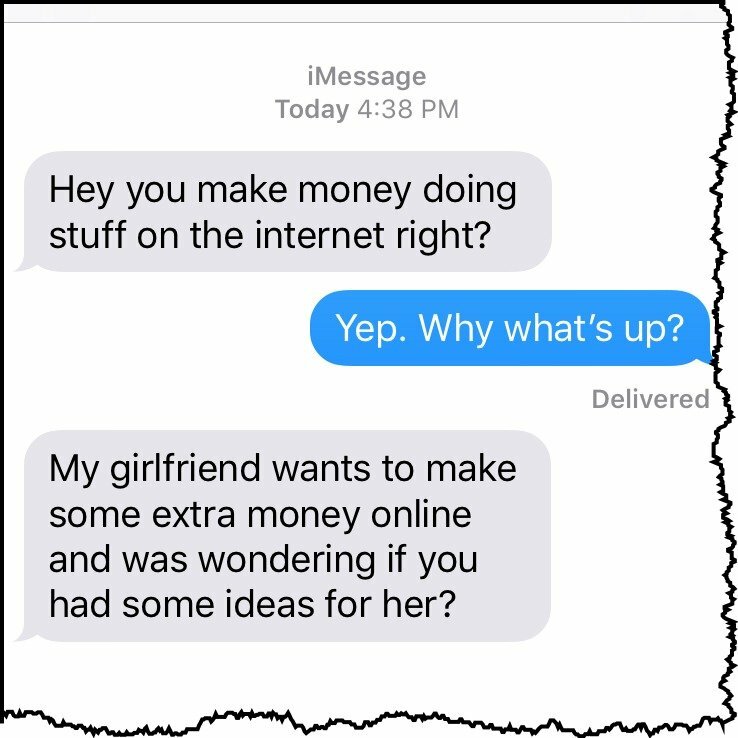 He doesn’t know exactly what I do for a living, but he has a vague idea that I make money online in some way or the other. So he recently sent me a text explaining that his girlfriend is interested in making some extra money with her computer whenever she has some downtime. I’m an expert at all of these things and would have been more than happy to have helped her do any of these things. But she wasn’t really interested in any of it. 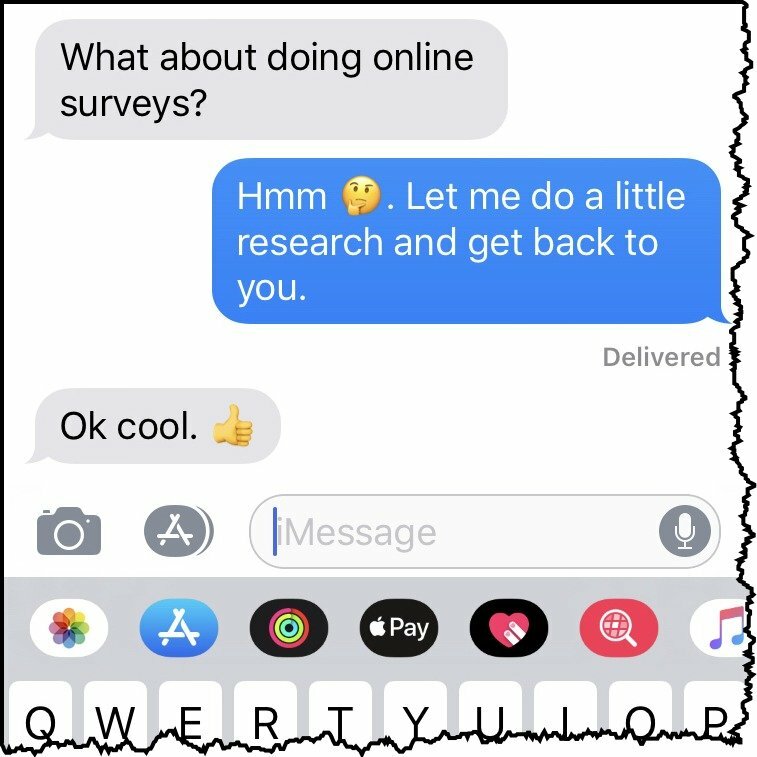 My initial reaction was to respond by saying, “No, online surveys are a scam and she won’t make any money doing that”, but the reality is that I had no experience with doing online survey and couldn’t give a truly informed opinion. I really wanted to help my neighbor out (you know how even if you don’t know the answer to something you naturally want to find out so you can help?). So I told him I’d look into it and let him know. Okay, before we get into the list, the first tip I want to give you is to sign up for as man survey sites as you can. There are several reasons you’ll want to do this… the primary one being the more surveys you take the more money you’ll make. This will be the most time-consuming part of making money with online surveys. You’re going to sign up for all of the survey sites, completely fill out your profile on all the sites, and verify your email addresses with all the sites. The good news is many of these sites will give you an immediate sign-up bonus of anywhere from $1 to $5 (or more) just for signing up and getting started. 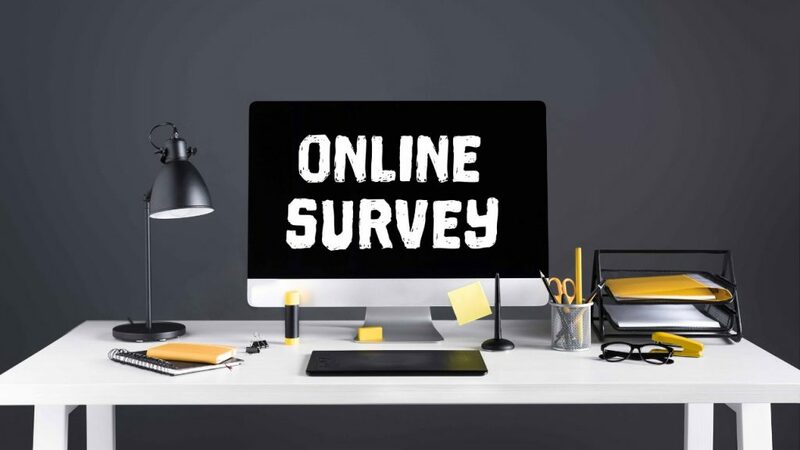 …so if you take the time to initially sign-up with as many survey sites as possible you’ll always have a steady stream of surveys available to take. And signing up for survey sites are completely free, and in many cases, you’ll get bonuses just for signing up, so there’s no reason not to max out the number of survey sites you sign up for. Survey Scam Alert: NEVER pay money to join a survey network. Alright, with that out of the way, let’s move onto the list of legitimate paid survey sites. These are in no particular order, and again I recommend you sign up to all of them. Even if you’re already making money taking surveys online be sure to scan this list to make sure you’re not missing out on anything. Also be sure to check this post regularly (or sign up at the end of this post) to be notified of new paid survey opportunities that have been vetted as legitimate. Below is my current list of favorite survey sites that are proven, vetted, and will actually pay you to take online surveys. Keep in mind some of the sites will pay you an instant bonus just for signing up and be sure you verify your email address (check your spam box) and complete your online profiles! Go ahead and click on each of them below and get signed up – each of the links will open in a new window so you can stay on this page as you sign up with each survey site. 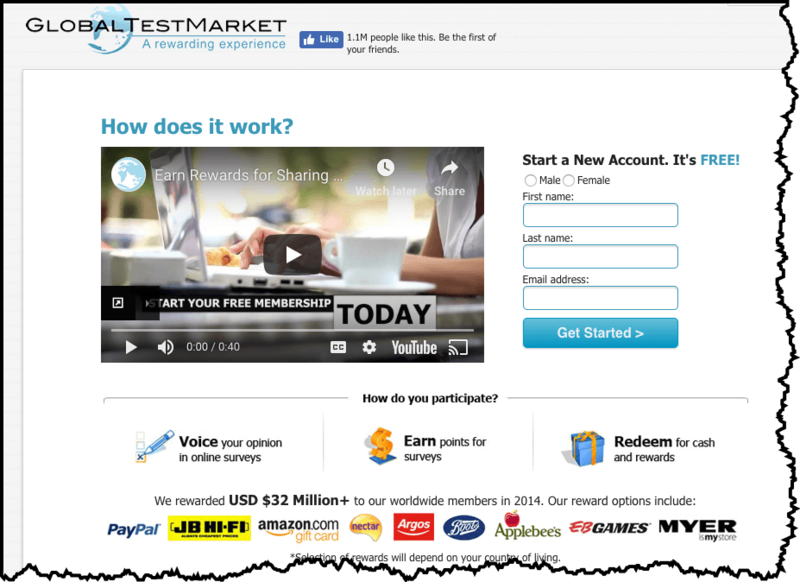 Global Test Market is one of the leading online survey sites. They’ve paid out over 32+ million dollars to their survey takers. You simply sign-up at their website, take online surveys, then earn points for every survey you take which can be redeemed for either cash or other rewards. Click here to get started with Global Test Market. Survey Voices is one of the most popular survey sites online. Top earners on Survey Voices earn $800/week+ completing surveys. Once you sign up you’ll automatically be provided a list of surveys that you instantly qualify for, then you can view exclusive offers in exchange for your opinions, and get access to paid survey offers. You can also get connected to clinical trial opportunities and part-time work offers if you’re looking to make even more money. Click here to sign up and instantly qualify for paid survey opportunities with Survey Voices. 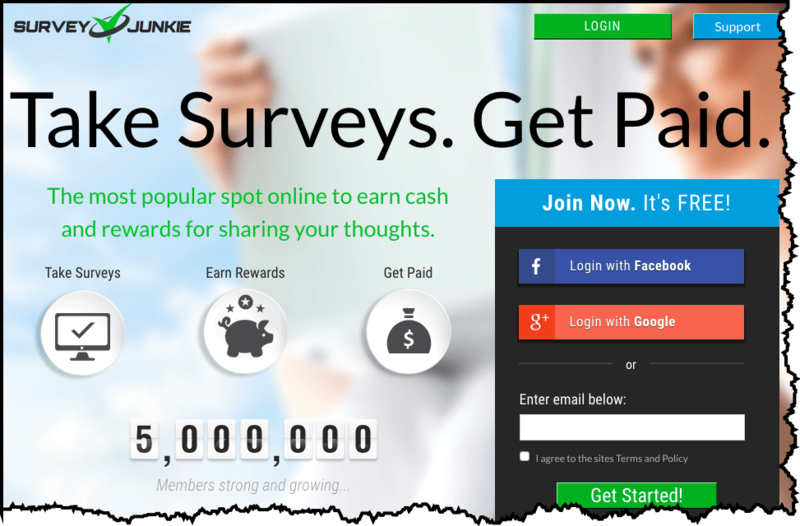 Survey Junkie has over 5 million members and matches you with some of the most recognizable brands in the world to voice your opinion and get paid. 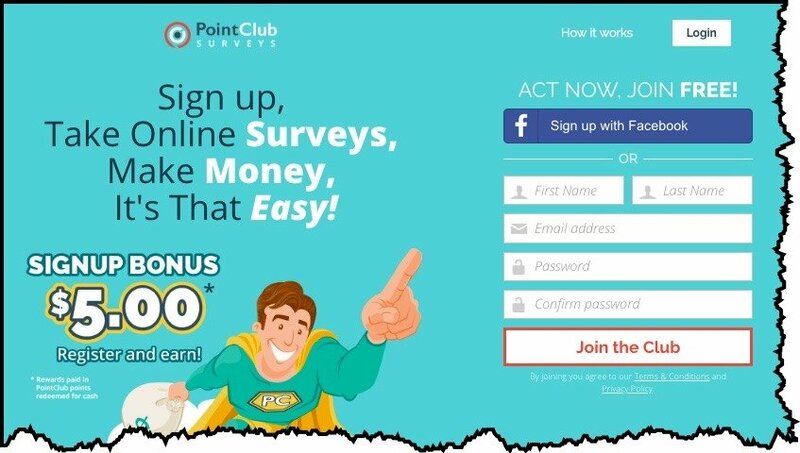 You can take surveys at any time on any device making it really easy to take online surveys and make money on your downtime. 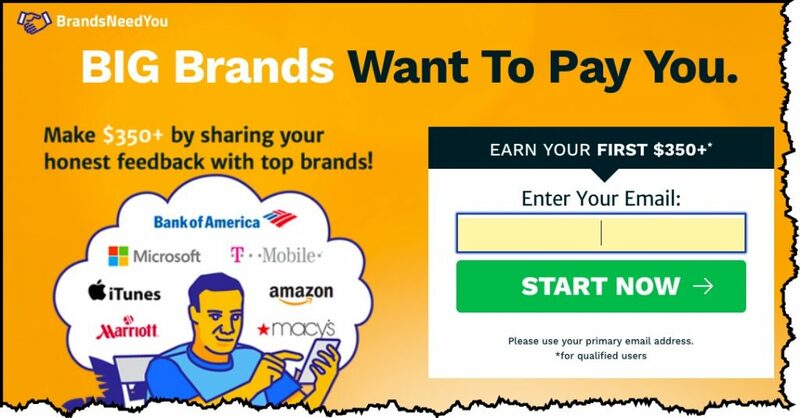 You accumulate points for every survey you take which can be exchanged for gift cards from big brands like Amazon and Target, or you can get paid via old-fashioned cash directly via PayPal. Click here to sign up for Survey Monkey and start earning cash now! Started in 2005, Vindale Research is one of the most established survey companies on the internet. Not only can you get paid to take surveys with Vindale Research, but you can also get paid to watch videos, read emails, and more. Some notable brands that Vindale Research has worked with include Netflix, Disney, T-Mobile, and Nike just to name a few. Vindale Research will pay you up to $50 per survey and pays directly via cash, not points. You can choose to get paid via a check sent in the mail or PayPal. Vindale Research has paid out close to $7 million dollars to date and you can get make your first dollar just for signing up and completing your profile here. iSurvey World pays cash for each survey you complete directly via PayPal. You can earn up to $70 per survey and iSurvey World offers a $5 bonus just for signing up. Click here to sign up for iSurvey World and claim your $5 sign up bonus now. Cashback Research offers up to $75 per completed survey. 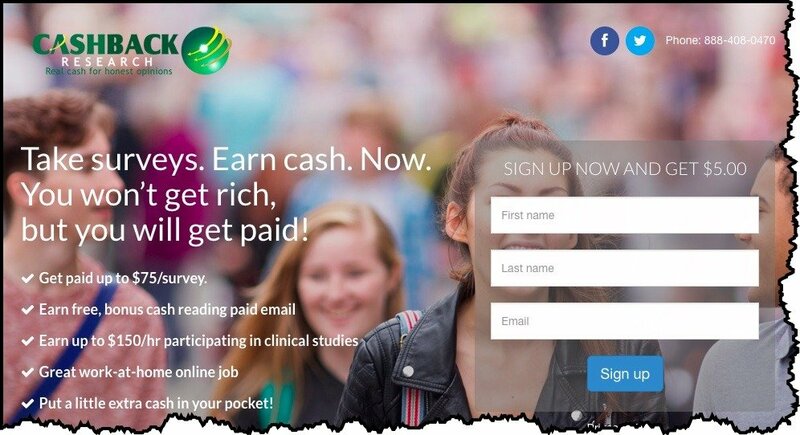 Not only can you do surveys with Cashback Research but you can also join panels to get access to more survey opportunities and you can also participate in clinical studies that pay up to $150 per hour. Cashback research will also pay you to read emails. 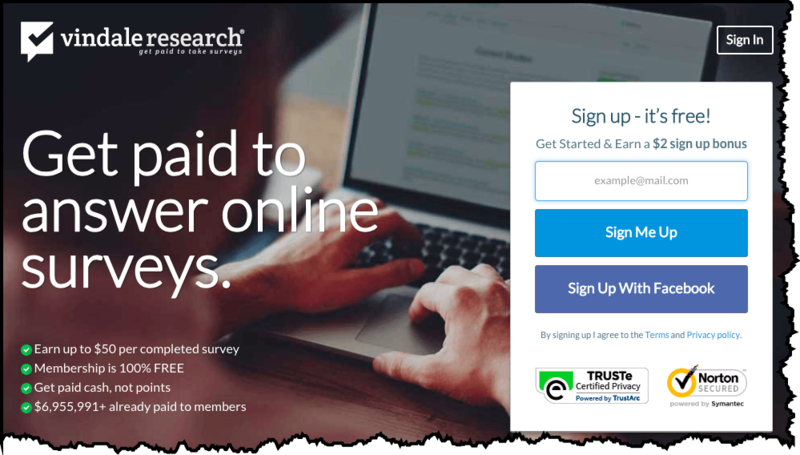 Cashback Research offers plenty of paid survey opportunities and you should be able to qualify for at least a few new surveys every single day. Click here to sign up for Cashback research and start earning now. 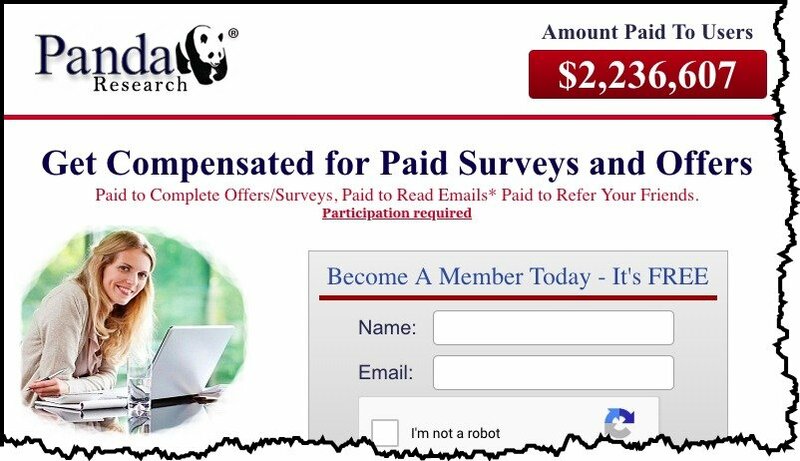 Panda Research will pay you to complete offers, surveys, and to read emails. They’ll also pay you to refer your friends to their network. Panda Research pays up to $50 per survey and offers an immediate $3 bonus just for signing up. To date, they’ve paid out over $2 million dollars to their members. Get started with Panda Research by signing up here. Your Surveys places a big emphasis on privacy, security, and making qualifying for surveys very easy. Your personal information is always anonymous, your information is not sold to third parties, and your profile information is saved so you are prequalified for surveys and don’t have to answer the same qualifying questions over and over again. 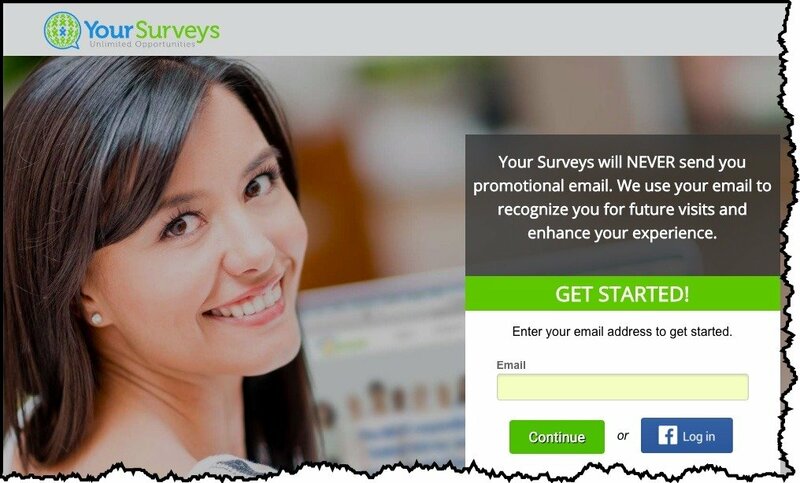 Click here to get started with Your Surveys now. 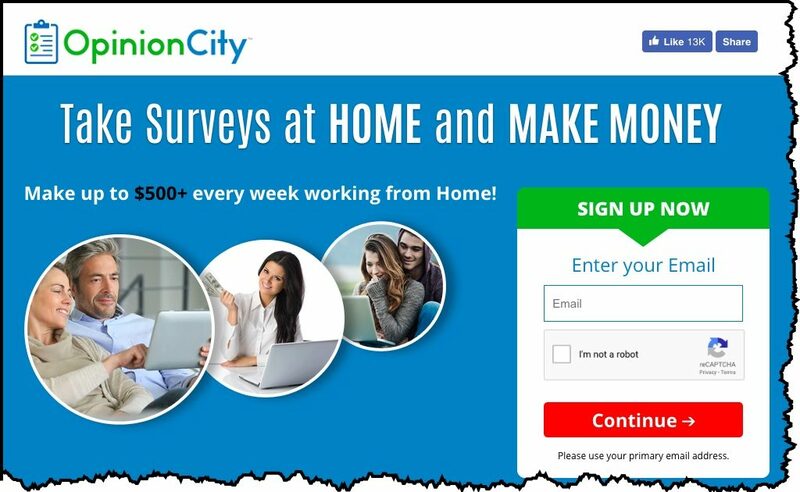 OpinionCity pays their top earners up to $500+ every week to take surveys working from home. They have an extensible searchable database to find the best surveys for you to take but also have a great matching system to show you to the top-earning surveys based on your demographics and psychographics. Notable brands represented by OpinionCity include Coca-Cola, Deel, Best Buy, and McDonald’s. Click here to sign up for OpinionCity and earn up to $100 per survey you take. As a PointClub member, you’ll get access to carefully selected surveys that most closely fit your individual interests, demographics, and experience. You’re awarded points for every survey you complete then you can simply trade in your points for either cash or gift cards of your choice. PointClub also offers a $5 bonus just for signing up. Click here to signup for PointClub and get your $5.00 signup bonus now. 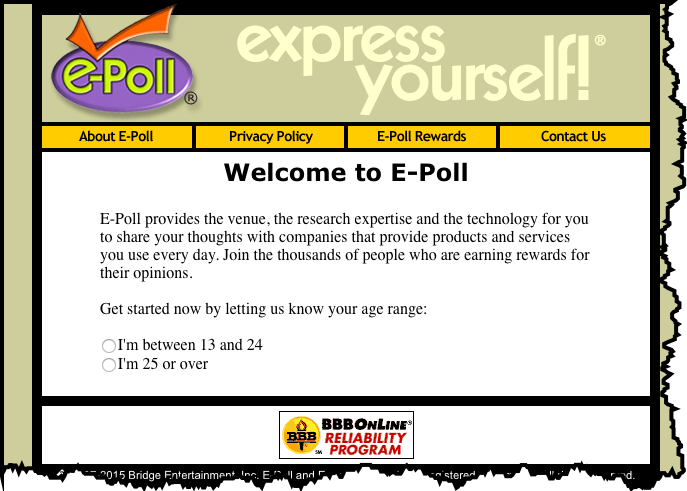 E-Poll is an online forum where you can express your opinions on a variety of issues that affect your daily life. 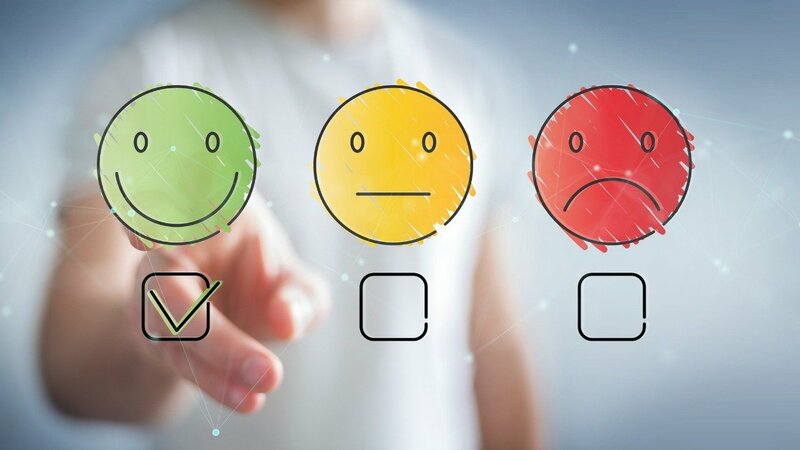 You can give your thoughts and opinions on a variety of products and services through fun and easy interactive surveys. You’ll earn reward points for taking surveys which can be cashed in for gift cards or other cool stuff. You can get an instant $5.00 bonus when you signup here. This is completely optional but can be helpful. You’re going to be signing up for a lot of survey sites and you’ll be getting a lot of emails notifying you of new survey opportunities. Of course, this is a good thing but it can start to clutter up your email inbox (and I’m sure your email inbox is already cluttered up enough). 2. It allows me to dedicate focused times to log into my survey email account and go through all of my available surveys. Another option if you’re an advanced email user is to use email filters to segment your survey emails into a dedicated folder, so you don’t need a separate email address. Again this step is completely optional, but I highly recommend it. There you have it, my current list of favorite online survey sites. Now that you’re all signed up you should start getting daily invites to participate in and complete online surveys… making up a few hundred extra dollars a month or more. I’d love to hear your success story with online surveys, and feature your story on the site. You can always contact me here and let me know how it works out for you!